The Crown series three cast, plot and when is it released on Netflix? What will happen in The Crown season three? While the first two seasons of the show covered Queen Elizabeth II’s life from 1947-1963 including the early years of her reign, the third and fourth series will bring the action into more modern times as it covers the time period from 1964-1976. And series three is set to go up as far as 1970 – meaning it will cover some major events in the Queen’s reign from Prince Charles moving more into the public eye, through to her relationship with then Prime Minister Harold Wilson. 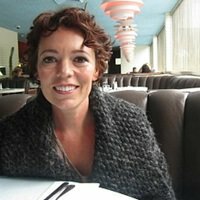 Filming is due to begin on the series this month. 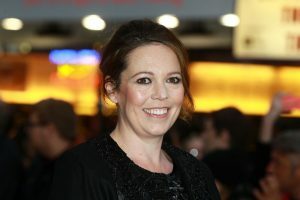 Olivia Colman has joined as the older incarnation of the Queen – and previously confessed nerves at taking over from Claire Foy, who played the role in the first two series. She told The Sun: ‘I’m really nervous to take over something that’s been so great – it’s scary. Olivia will be joined by actor Tobias Menzies – aka Game Of Thrones’ Edmure Tully – who will take over from Matt Smith as Prince Philip. News of his casting was revealed by Netflix back in March, with Tobias adding he had ‘never been more happy my entire life’ to be playing the role. Other cast newcomers will include Helena Bonham Carter, who is playing Princess Margaret, and Jason Watkins, who’ll be appearing as Prime Minister Harold Wilson – while Call The Midwife’s Erin Doherty will play Princess Anne. Helena reacted to the news via a photo of herself and actress Vanessa Kirby – who played Margaret in previous series – saying she was ‘honoured’ to be stepping into her shoes. Will Princess Diana feature in this series? Diana won’t be a feature of the next series, as it’s still set several years before she joined the royals, but she will feature in later seasons as the action moves forward into the 80s and 90s. Camilla Parker Bowles, however, will feature in the next series – although casting has yet to be revealed on that front. When is the series released on Netflix? There’s no confirmed release date for it yet, but as filming is only due to begin this month it could be a while before we get to see it – maybe even 2019. Source: Metro.co.uk – The Crown series three cast, plot and when is it released on Netflix?